New MPRDA starts with 20% free carry, maybe more…. The Mineral and Petroleum Resources Development Amendment Bill, the legislation that will give the state a right to a 20% free carried interest in all new exploration and production rights in the energy field, has been passed by Parliament before it closed and sent to President Zuma for assent. 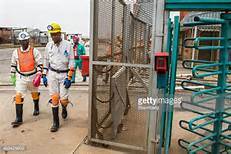 According to press reports, new minister of mineral resources, Ngoako Ramatlhodi, may have halted the process by request, however, in the light of public sentiment and opposition moves to challenge the Bill’s legality. 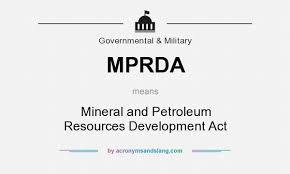 Section 3(4) of the Mineral and Petroleum Resources Development Act (MPRDA) currently states that the amount of royalty payable to the State must be determined and levied by the Minister of Finance in terms of an Act of Parliament. This Act, in force, is the Mineral and Petroleum Resources Royalty Act 28 of 2008 but considerable uncertainty always surrounded how this would work and what was actually meant. 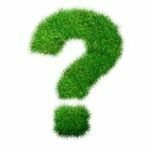 Any uncertainty has now been removed and the MPRDA amendments now passed have brought to an end a process which started when the draft Bill was first published for comment in December 2012. The legislation seeks to “regulate the exploitation of associated minerals” and make provision for the implementation of an approved beneficiation strategy through which strategic minerals can be processed locally for a higher value – the exact definition of the word “beneficiation” yet having to be defined. Importantly, the new Act will give clear definitions of designated minerals; free carried interest; historic residue stockpiles; a mine gate price; production sharing agreements; security of supply and state participation generally. The new Act also states that regulations will apply to all historic residue stockpiles both inside and outside their mining areas and residue deposits currently not regulated belong to the owners. Ownership status will remain for two years after the promulgation of the bill. In addition to the right to a 20% free carried interest on all new projects, ownership by the state can be expanded via an agreed price or production sharing agreements. The NCOP concurred with Bill on its passage through Parliament and made no changes. Legal commentators note that the Royalty Act, at present in force, triggers payment in terms of the MPRDA upon “transfer”, this being defined as the consumption, theft, destruction or loss of a mineral resource other than by way of flaring or other liberation into the atmosphere during exploration or production. The Royalty Act differentiates between refined and unrefined mineral resources as “beneficiation”, this being seen as being important to the economy; incentives being that refined minerals are subject to a slightly lower royalty rate. Nevertheless it appears, commentators note, that in terms of mineral resources coal is being targeted and also zeroed in on is state participation in petroleum licences. Others have pointed to the possible wish of government to have a state owned petroleum entity such as PetroSA to be involved fracking exploration. 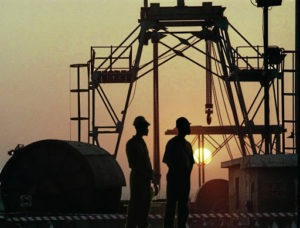 Earlier versions of the Bill entitled the State to a free carried interest of 20% and a further participation interest of 30%, with the total State interest capped at 50%; however, the version that Parliament approved removed the reference to a 30% participation interest as well as the limit of 50%, effectively giving the State the right to take over an existing petroleum operation, law firm Bowman Gilfillan explained in a media release earlier this month. Democratic Alliance (DA) Shadow Minister of Mineral Resources, James Lorimer said in a statement that the Act, “would leave the South African economy in a shambles”, adding that this would lead to people losing their jobs. The DA has said it has now begun a process to petition President Zuma, in terms of Section 79 of the Constitution, to send this Bill back to the National Assembly for reconsideration,” he said. 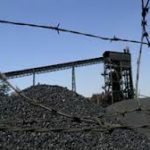 Surprisingly, the Chamber of Mines stated that it “generally welcomed and supported” the approval of the MPRDA Amendment Bill, adding that it believed significant progress had been made in addressing the mining industry’s concerns with the first draft of the Bill, published back in December 2012. 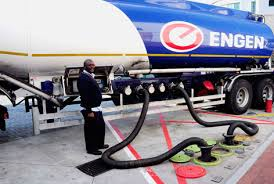 Clearly the mining and petroleum industries particularly gas exploration industries, both of whom have separate equity BEE charters, are still very much at odds on the effects of the promulgation of such an Act, as is DA and the ANC. The final gathering of a Parliament is always an auspicious time. This is the thirteenth parliament of South Africa as a republic but currently the fourth under the ANC, this particular parliament having been started in 2009. How time passes indeed. Four times five is twenty and nobody can change the fact that this is the number of years we have had in South Africa to get things into first gear and pull away as leaders in Africa. But whilst security was always the issue in governments before 1994, service delivery to the poor has been the issue ever since, followed more recently by the need to fill the gap caused by inaction on infrastructure build. When will the poor actually not be poor seems to be the question and in the case of South Africa the answer always seems to be within our grasp. As do the energy, rail, transport and harbour, the communications, health and education issues seem to be equally just within our grasp. Closing that gap is, of course, not helped by the lack of skills and training at the coalface and where it matters. Aspects to watch in Parliament over the coming weeks involve monitoring the reports of each department’s on the skills training aspect. Expense was not been spared in the budget. Everybody has been given money. But the “work-hard, focused, skillful, get it done properly” Chinese mentality seems to be missing. Where the Chinese score is through leadership and therein lies the rub in South Africa, from the top, to the most low worker. With an extraordinarily long list of legislation to get through in the next session of Parliament it will be interesting to see if the qualities of leadership emerge at all, or the country remains driven, even at cost to basic economic structures, by imperatives to get votes. Unusual has been the move by the President to return the Protection of State Information Bill back to Parliament, ostensibly in the light of some grammatical errors. Whilst this does not vitally affect the business world, other than perhaps a number of businesses or industries in a strategic role finding itself involved or suspected as being involved in the leaking of some highly sensitive subject – say nuclear or defence, this affair will play out noisily in our newspapers but is not really a serious business issue. Meanwhile, the last session of any parliamentary government period will always see MPs distracted by forthcoming elections whilst attempting to handle a voluminous amount of legislation that sincerely affects business and they would like to see passed before the period ends. Consequently, the expression “fast-tracking” will occur again and again over the coming two months. Ministers will also make many a speech from a podium aimed at the electorate, rather than adding substance to a legislative issue. Much will involve sorting the wheat from the chaff when it comes to government policy on critical issues. 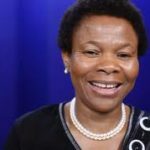 Critical issues are obviously the Minerals and Petroleum Resources amendments, bearing in mind minister Shabangu’s recent statement on “free carry” and the ability of the state to acquire up to 50% shareholding in gas exploration successes; the combining of the liquid fuels and mining BEE charters; land reform; fracking, carbon tax and e-tolling. Also a certain number of ministers will be attempting to justify their stay in the cabinet and the requirement of pleasing the electorate will feature more heavily on their minds than that of the international investment public. Much will have to be ignored. This is always a bad period for South African public relations; the political lobby; government relations and for departmental heads who may get rough treatment as they report to MPs on their achievements and as Parliament progresses towards the period of the medium term budget. Moses Mabuza, when briefing Parliament on the Mineral and Petroleum Resources Development Amendment (MPRDA) Bill, told parliamentarians that amongst the many issues proposed by the new Bill an important issue was the setting up of penalties for non-BEE compliance across both the mining and liquid fuel sectors. However, he said that he was confident that all stakeholders in the both industries would look back on a their association with black empowerment with understanding and pleasure, despite the opposition to the Bill on various differing and wide-ranging issues at present. Mabuza, who is deputy director general, mineral and policy promotion,department of mineral resources (DMR), said industry will be surprised see how much this legislation in the years to come will have contributed to the country’s development, both in the mining, liquid fuels industry and business in general. 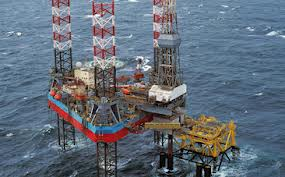 He told told the portfolio committee on mining resources, when briefing MPs on the Bill page by page, that it was important to understand government’s viewpoint as far as the oil and gas industry is concerned. “We give you the assurance”, Mabuza said, “that any regulations which are to follow will provide the kind of certainty sought in both the mining and petroleum industry”. Opposition members still called to see the basis of the regulations first before further debate, since they claimed that at present, and as things stood, the wording of the Bill amounted to giving the state “a blank cheque” by not knowing what regulations were to be imposed. In tracing the history of the MPRDA, deputy Mabuza and his co-presenter for policy development in DMR, Adrian Arendse, continually referred to stakeholder meetings throughout the process over the years, including stakeholder workshops where the various parties consulted were broken down into sectors such as environmental, petroleum industry, mining industry, finance and bankers and legal interests. Deputy director Mabuza, in response, again gave assurances from government that the proposed Bill represents no fundamental shift in government policy. He said clarity and certainty would follow in the course of time as regulations became evident. Further on BEE matters, questions were asked on how government intended putting into force a parallel BEE charter that incorporated the liquid fuels charter, which called for less than 10% ownership as a target, and the mining charter which was at 27%, plus other anomalies. One MP said that in gas exploration there were enormous developmental costs and the charter made no sense on these issues. Mabuza said he was aware of the “vast differences” between the two documents and this would have to be discussed in rounds of talks to come and considered carefully. Some of those talks had already started, not referring with whom and on what particular subject. However, he said there were also big differences in the industries themselves, in both matters of beneficiation and style of operations. DMR wanted to land up in a situation where nobody was disadvantaged, either the poor or the investor. On exploration rights, Mabuza said where the Bill really differed from previous regimes was that the “first come first served” principle in exploration and rights licensing was to be abolished totally. “This system leads to mediocrity”, he said. 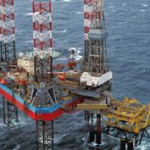 “We have learnt much over the 15 years with such licensing regulations, during which time South Africa has lost it share in global resource exploration, going from 3% to a current 1%. We do not wish to go down this road any longer”, he said on licensing. “The first person served often meets the absolute minimum requirements and in so many cases, South Africa has had years of brownfields investments and never the greenfields operations that number 5 or 20 in the queue might have offered for a license on the same project. Mediocrity resulted and South Africa has suffered consequently”, he said. In answer to questions on the liaison between DMR and the department of energy (DOE), Mabuza described the sphere of control under the MPRD Act as being simply a question of “downstream” energy resources being for DOE and “upstream” matters on exploration mining licences and industry regulations being for DMR. Obviously, he said, environmental issues were handled by those competent to do so. Mabuza said that in coming up with the proposed Bill, DMR had consulted with, or observed, the practices of Canada, Angola, Ivory Coast, Russia and Gabon but opposition members complained that the process of consultation or observation meant absolutely nothing. They want to know who DWEA had listened to in coming up with the current proposals. Those before Parliament said they had made their own decisions and stakeholders had been involved along the road in discussions, particularly in the mining industry. Mabuza said that South Africa “remained the wealthiest mining and exploration production country in the world and with Africa reaching never-before, unprecedented levels of geo-political stability, the future was bright. “We have designed legislation that takes both the state and our developmental economy into that future”, he said. On the subject of penalties in the area of BEE non-compliance, opposition members complained that such contributed further to red tape, political uncertainty and investor complications. Mabuza denied this and told parliamentarians that any penalties written into the Bill were a maximum sum only “and in any case”, he said, the 10% maximum still represented ‘just petty cash’ for most mining companies”. “We had to bring in some form of penalty where shareholders were alerted to non-compliance otherwise management just carried on regardless of regulations or compliance issues”, Mabuza said.